Ms. Patricia Ann Bright was born October 17, 1948 in Center. 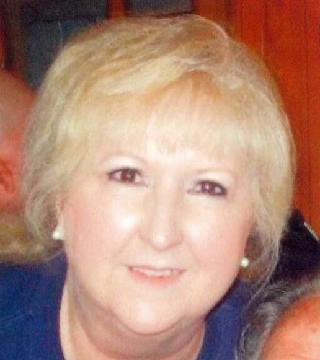 She was a beloved member of the White Oak community and employed at The Roughneck for 30+ years. She was preceded in death by her mother, Addie Mae Windham; father, Edison Rudolph Whiteside; brothers, Kenneth Whiteside, Steve Whiteside, and Bo Whiteside; and husband Billy Bright. Ms. Pat went home to be with the Lord on Tuesday, July 31, 2018 in Shreveport, LA at the age of 69. She leaves to cherish her memories one sister, Betty Shields; brother, James Whiteside; children, Chad Bright, Cody Bright and wife Ashley, Colin Bright and wife Jessica; five grandchildren, Jacob, Brinkley, Madison, Maci, and Mia; two great-grandchildren, Hayden and Madison and a host of other relative and friends. The family wishes to acknowledge with deep appreciation the many acts of kindness and support during this time of bereavement. A private family memorial will be held, according to Pat’s wishes. Our prayer is God will continue to bless each of you.